Photos without background are popular because they can be used basically in every environment. If you leave the background transparent, they will even adjust to the coloring of your web project without further effort. Especially in (but not limited to) online shops, objects without backgrounds are the first choice to focus on the product itself. Of course can you go for the full service package Photoshop and fire up the giant. Besides having to shell quite a load of money, cutting out with Photoshop is not for the beginners. Thankfully, there’s a much easier, faster and cheaper solution. PhotoScissors, from Teorex, is near to perfect for beginners. The app is lightweight, does not bankrupt you and can be learned in a few minutes. Just with a few mouse clicks, you can have a beautifully cut out image in no time. Of course, PhotoScissors is not as exact as Photoshop handled by an absolute expert, but much more than sufficient in most cases. It is especially useful when you need to cut out objects from a row of photos as it will save you valuable lifetime – the more of which, the more you use it. In our Deal of the Week, again powered by Mighty Deals, we took the concept of cutting to the next level and even cut the price. We not only cut it slightly, we halved it! For a limited time, you can get PhotoScissors for 9.97 dollars instead of its regular price of 19.99 dollars. 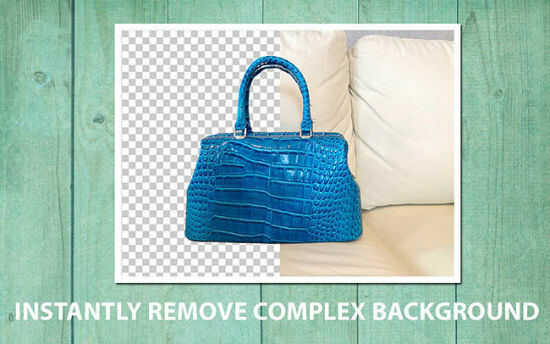 Unless you’re an experienced designer with years of Photoshop skills behind you, it can be nearly impossible to try cropping out specific backgrounds in photos. Heck, even if you’re a Photoshop Master, it may be easy but it’s certainly time consuming. With PhotoScissors you can let the program do all the work! Whether you have a solid color background or the craziest, most complex and detailed background around, this app can still get the job done. Just give it some basic direction with a few mouse clicks to start the process and PhotoScissors will beautifully and quickly cut out your selected image. PhotoScissors is the perfect solution for photo editing beginners! Just a few quick strokes of the mouse and you’ll have an accurate clipping path set up! This fantastic time-saving app works on any image, no matter how big or small it may be. Just take whatever size you’d like and get clipping! Want to show off a great product shot on an eBay or Etsy listing but don’t really want yourself or the background in the image? That’s where PhotoScissors can be your savior and remove everything except the item itself. 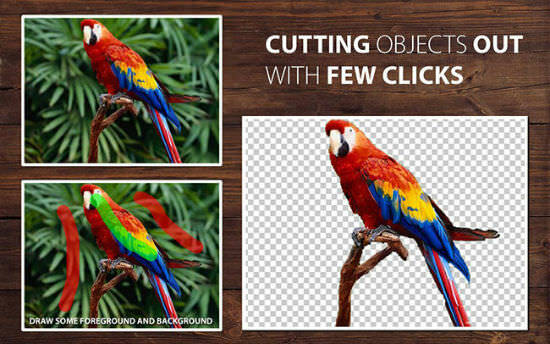 PhotoScissors works with a variety of today’s most-popular image formats. It supports a wide variety of graphic formats including JPG, PNG, GIF and more! 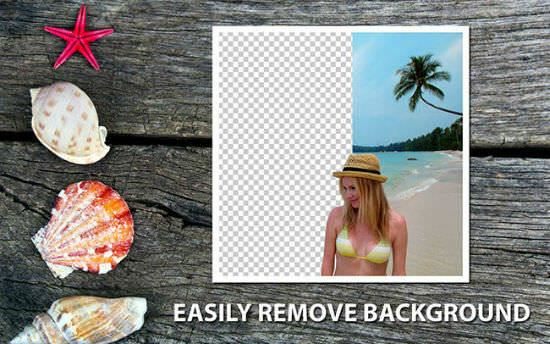 Besides cutting out the backgrounds of your images, PhotoScissors offers a number of useful photo editing features as well. In addition to transparency support, it also does anti-aliasing, feathering and halo-prevention, all resulting in the best possible quality of your cutout. PhotoScissors is available for both Mac and Windows. While it runs from Windows XP up on PCs, you’ll need Mac OS X from 10.7 up to run it on an Apple machine. The software normally sells for $19.99, but for a limited time only, you can get this useful app for only $9.97! That’s a 50% off savings from the regular price! The license is a user license. So, if you own a Windows and a Mac machine, you can install it on both your machines or any other combination as long as the machines belong to the same user. After your purchase, the serial key as well as the download link will be mailed to you. Updates not changing the major version number are also free with this deal. Great tool. Heard first time about it. I would like to buy PhotoScissors. Thanks for the share. This sounds like a great tool for 9 bucks.. I will eventually try it to see the precision.. Although it can be saved in PNG, it does not mention what to do with transparency before saving.. It there a way to work in layers like in photoshop to bring a new background?